According to a recent study published by NPR, 2017 is going to be a high-risk year for Lyme disease in New England. A significant uptick in the mouse population in 2016 is nearly a sure-fire sign of a worrisome upcoming increase in the tick-borne disease. Mice are a carrier of Lyme disease, and research has shown the amount of mice in a given year directly correlates to the instances of Lyme disease during the following year. Deer ticks have eight legs and are reddish brown with black legs and head. Nymph deer ticks are around 3-5 mm long, while adult deer ticks can be up to 10 mm long—about half the size of a dog tick. Hikers should be extra cautious in regions anticipated to be hit the hardest. Southern Virginia is where NOBO AT hikers will begin to regularly encounter deer ticks and will continue to do so all the way through Maine. 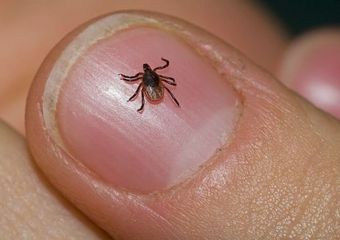 The longer an infected tick stays on your body, the higher your chance of contracting Lyme disease. 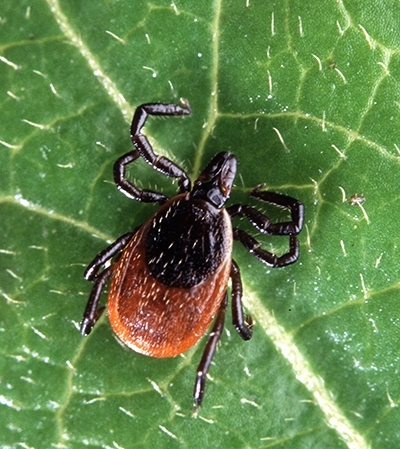 Your odds of avoiding the transmission of Lyme is greatly decreased if you catch it within 24 hours of a bite. 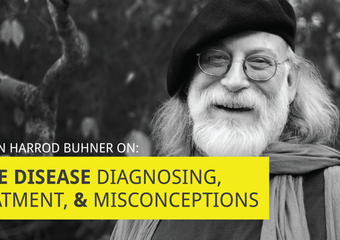 Symptoms include a red rash (commonly known as the “bullseye”), although not all instances of Lyme disease infection will exhibit this. Other symptoms include fever, as well as aching joints and general lethargy. If you think you’ve been infected, see a doctor as soon as possible for antibiotics, as symptoms can worsen and affect people in different ways and for varying amounts of time. Make sure to do thorough tick checks morning and night, and after taking breaks or crossing through fields. Be especially careful checking for ticks on your scalp, behind your ears, in your groin area, armpits, and bellybutton. Find a partner to help check those hard-to-see areas. Wear treated clothing and supplement with an insect-repelling spray. Wear high socks and cover your body as much as possible. Our 2016 survey shows permethrin to be the most effective method for warding off Lyme disease, but it doesn’t mean tick checks aren’t vitally important throughout the day. Permethrin treated at the factory level lasts roughly 12 times longer than a self-application with spray. Some good options of items treated with Insect-Shield (a factory level repellent) can be found here. To get rid of ticks we recommend using an insecticide with a low toxicity and with friendly co-formulants but with a wide spectrum of use.